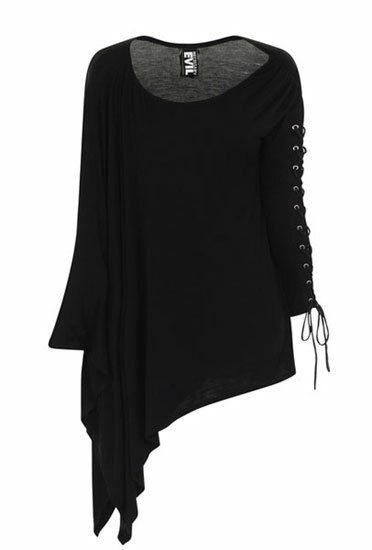 The NYX top is a super soft long sleeve shirt with corset style lacing on the left arm. The asymmetric cut of this shirt contrasts the corset style sleeve. i like how it's long on one side and shorter on the other. then you go you sleeves full of string. the other pair of leather jans on i got this goes with. they go very well together.